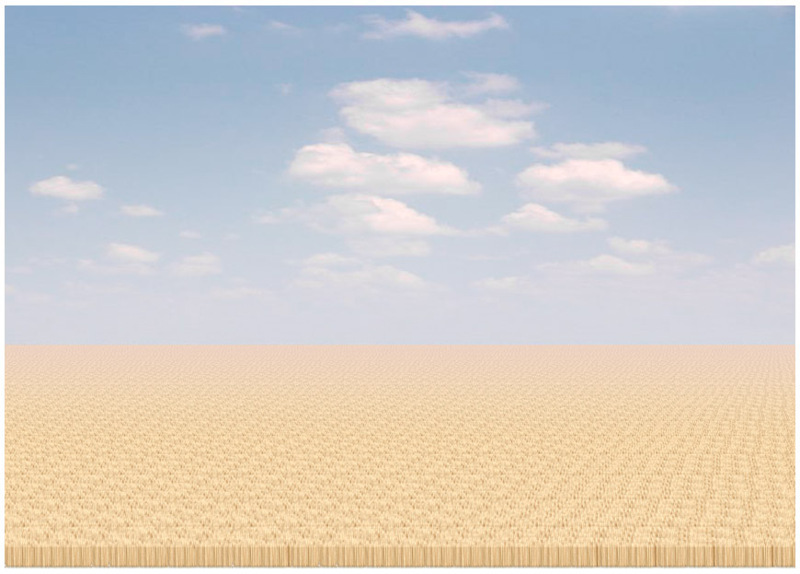 This image depicts eight million toothpicks. According to Seattle artist Chris Jordan, that's how many trees are harvested in the U.S. each month to make paper for mail-order catalogs. The images are part of Running the Numbers: An American Self-Portrait, a series depicting the excesses and inequities of contemporary American culture. Each image portrays a specific quantity of something, such as the number of American children without health insurance, or the number of disposable batteries produced every 15 minutes. Many of the images are mosaics of common objects. "My hope is that images representing these quantities might have a different effect than the raw numbers alone," Jordan writes. "Statistics can feel abstract and anesthetizing, making it difficult to connect with and make meaning of 3.6 million SUV sales in one year, for example, or 2.3 million Americans in prison, or 426,000 cell phones retired every day." Lucky that trees are a renewable resource. Well, if you can't vouch for his statistics, do some bloody scientific research. Or would that not be popular at Popular Science. You must be unpaid to be so lazy.. I'm sure the images are alot more impactful in person because the image in the post is pretty uninteresting. But I like the idea of representing stats visually. It would have been nice to know where I could actually go and see them in person. This would matter a whole lot more if cutting those trees down for paper actually hurt anything. I live in a town that has as one of it's major industries, a paper mill. The entire town is surrounded by tree farms. The paper company doesn't want forest trees. They want the trees that were grown specifically for paper. Trees with uniform sizes and ages and types. The land that currently contains tree farms, would contain some other type of farm if there wasn't a market for the trees. The real culprit when it comes to cutting down forests is the housing and furniture industries. Not the paper industry. That doesn't let the paper industry off the hook for the pollution issues and other problems. There is a good bit of blame that needs to go towards them for those issues. how many trees are harvested in the U.S. each month to make paper for mail-order catalogs ???? it is terrible ~~!!! Very creepy, very sad pic. Pictures of this art are never easy to understand, but have a deep thought behind. Similarly this picture have, that harvesting too many trees is much dangerous. Statistics are often used to demonstrate the severity of a given situation and a call to action, but when particularly massive numbers are cited on a regular basis they become difficult to comprehend. eight million of toothpicks ? nice concept but looks like a desert, what a waste of time. What is in a name? That which we call a rose by any other name would smell as sweet.